HAMBURG -- German prosecutors are investigating whether Volkswagen employees deleted data that could be harmful to the company before the carmaker admitted to U.S. authorities that it had cheated diesel-emissions tests. A spokesman for the prosecutor's office in Brunswick, near Volkswagen's headquarters, said there was an initial suspicion of attempted obstruction of justice and concealment of evidence. 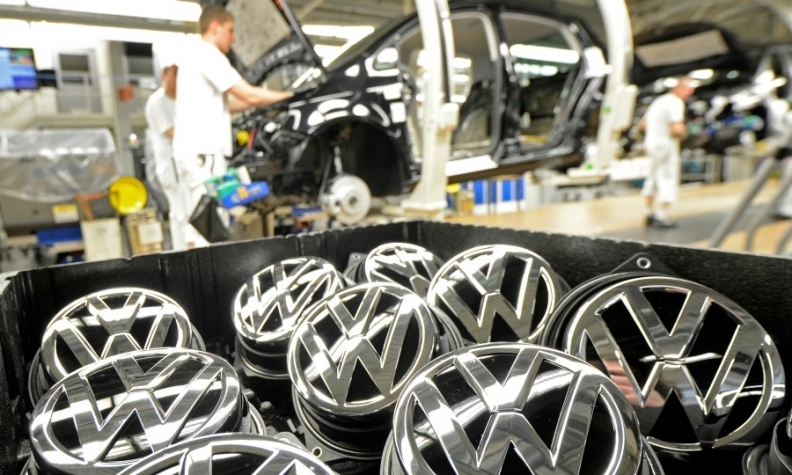 Volkswagen declined to comment on an ongoing investigation. Volkswagen admitted on Sept. 18 it had cheated the Californian environmental tests, knocking a fifth off its market value, causing its chief executive to resign and potentially costing it billions in court cases, fines and technical fixes. Soon afterwards, it ordered law firm Jones Day to carry out an independent internal inquiry over the matter. The prosecutor's office spokesman said some of the data removed from machines was transferred onto data sticks, some of which had in the meantime been handed back in. "So far, prosecutors are not assuming that a large amount of data has been lost, enough substantially to hinder or delay the diesel investigations," he said. In March, an ex-employee of Volkswagen's U.S. unit filed a complaint against the carmaker, claiming he had been unlawfully fired for flagging internally what he alleged was illegal deletion of data. Some investors are suing Volkswagen for not having informed the market in a timely manner of its huge impending problem. British law firm Slater & Gordon said it had been "inundated" by customers looking to bring a group action against Volkswagen if it is found that they suffered loss by installation of the defeat device. "This latest revelation will only add fuel to the fire for those looking for VW to put right its past failings," it said. Volkswagen has set aside 16.2 billion euros ($18.5 billion) to cover vehicle refits and a settlement with U.S. authorities, but still faces potential U.S. Justice Department fines and questions over who was responsible for the cheating, with investigations ongoing.